It’s not the most versatile machine that you are going to find, but if you just want the basics from a machine that does a good job of cleaning dishes, then the Indesit DSR57B1 is a fine machine. It comes with a good range of programs, and it is very easy to use. All in all, it is a machine that offers a good balance of affordability and performance, and that makes it a good value. 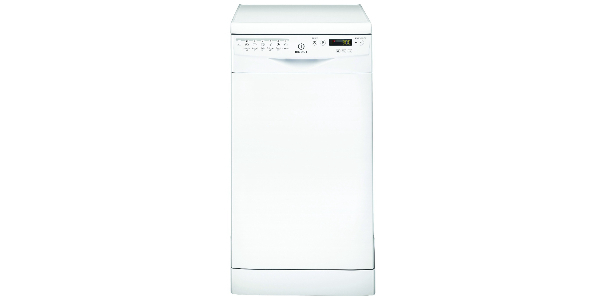 As an inexpensive slimline dishwasher, the Indesit DSR57B1 offers a good value. This machine might not have all of the high-end features that you would expect from more expensive models, but it does come with all of basics that the average home will need. It offers respectable efficiency on electricity, using an estimated 237 kilowatt hours per year, and it is very easy to use.You could definitely find slimline dishwashers that offer more options for interior racking, but this machine is easy to load, and it does have some . It can hold up to 10 place settings per load, and it does have some foldable rack features. You also have a large utensil rack in the upper basket, and the cutlery tray is removable. 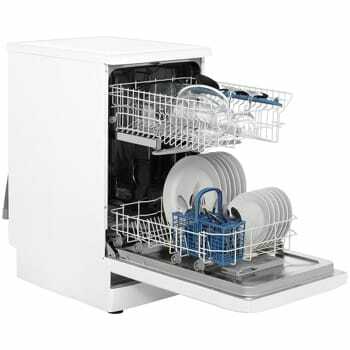 Some large items might be a little difficult to load, but that is fairly common with slimline dishwashers. 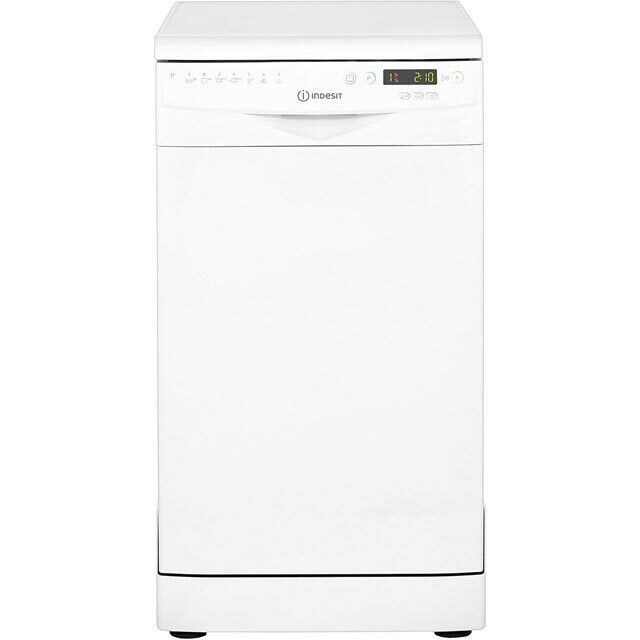 If your main concern is getting a dishwasher that has a good range of programs, then the DSR57B1 from Indesit should fit your needs. This machine comes with six wash programs, and the range covers all of the most common dishwashing needs for the average home. It has your normal cycle for most of your regular dishwashing, it has an intensive cycle for heavy soiling, it has a cycle for glassware, it has a quick wash, it has daily wash, an eco wash, and it has a pre rinse cycle. While this is a good dishwasher that does provide good cleaning capabilities, it is a machine that is light on the extra features. It has a delay start timer for scheduling your washing for a later time. Along with that, it does also have a half-load feature, so you can save on water and electricity when you only have a few dishes to wash. In most respects, this machine does perform well. It has all of the basic options that you need, and it comes at a good price. If you are looking for something to find fault with, one point is that some of the cycles do take a while to complete. You have an eco wash cycle that is good for reducing the operating costs of the machine, but it takes a little over three hours to run. If you have the time, it can be good to use, but a lot of users will find that they just don’t want to wait that long. For ease of use, the DSR57B1 is a simple machine, and that helps to make it easy to operate. You have a single button for cycling through the different program options. You just press the button until the corresponding number comes up on the display, and then press the start button to get the machine going. Along with that, you also have a display with a timer.